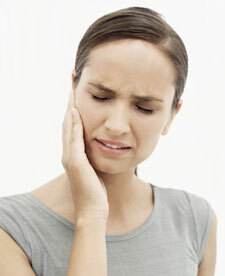 Do you suffer with TMJ pain? If an abnormality is present in the jaw or the bite of your teeth, it can cause symptoms of TMJ disorder to develop. We will assess the function of your TMJ during your exam to determine whether or not it is functioning properly. Several types of TMJ disorders can be addressed through non-surgical methods, such as bite splint therapy or orthodontics. If you have any of the symptoms of TMJ and you’re not sure where to turn, start with a dental examination. Please don’t suffer needlessly in silence. Give is a call so we can help you through the pain.